This chapter gives an overview of the area of explanations in recommender systems. We approach the literature from the angle of evaluation: that is, we are interested in what makes an explanation “good”, and suggest guidelines as how to best evaluate this. We identify seven benefits that explanations may contribute to a recommender system, and relate them to criteria used in evaluations of explanations in existing systems, and how these relate to evaluations with live recommender systems. 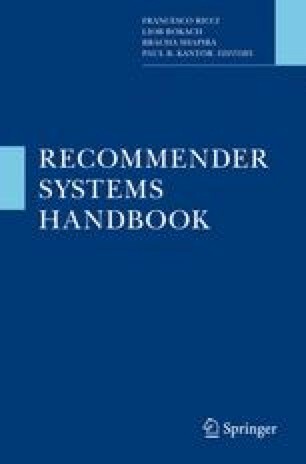 We also discuss how explanations can be affected by how recommendations are presented, and the role the interaction with the recommender system plays w.r.t. explanations. Finally, we describe a number of explanation styles, and how they may be related to the underlying algorithms. Examples of explanations in existing systems are mentioned throughout.